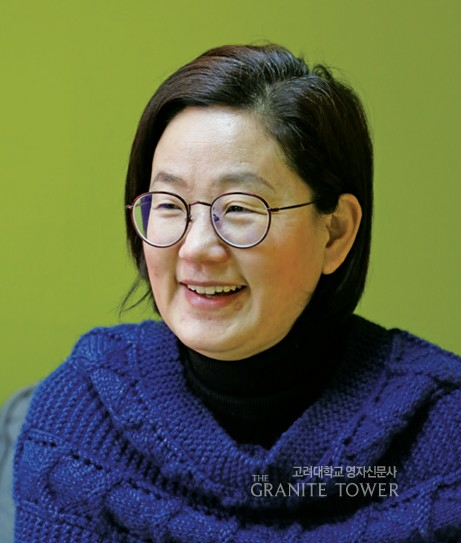 Park Jin Sook (’92, French Language and Literature) is the head of the Non Governmental Organization (NGO) and Non Profit Organization (NPO) Ecofemme. Ecofemme, which helps international refugees, immigrant women and children now settled in Korean society. Her goal in working with these women and refugees is to provide them with the support that they need, culturally and economically, and also help the diamond in the rough shine through the dark. Refugee is not a term so distant from Koreans as, not so long ago, Korea too was one of the countries teeming with war refugees. Just as its name suggests, Ecofemme focuses on not only providing practical help for women and girls of different origins to settle in Korea but also on growing together as the next female leaders of the refugee community within Korea, as well as the entire South east Asian region. 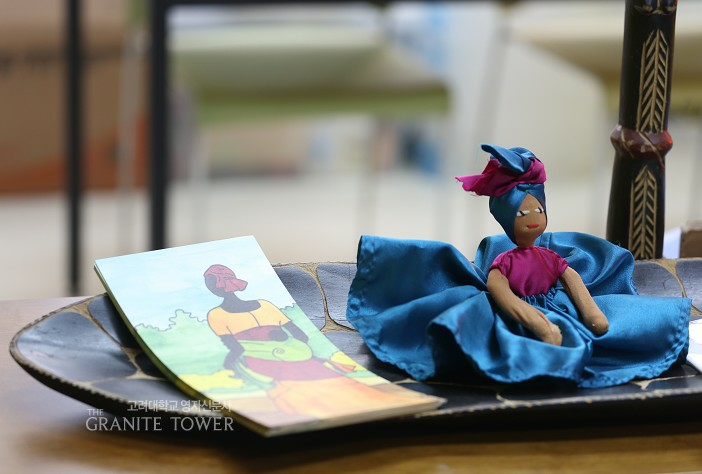 The Granite Tower (GT) sat down with Park to discuss in depth the hopes and expectations of Ecofemme and her numerous projects. GT: Were there any critical moments or specific drives that motivated you to start the organization? Park: I think that the biggest influence came from my husband, whom I met all the way back in high school and throughout my years in Korea University (KU). My husband is a lawyer who works with refugees. The books we read together and the conversations that we consistently had about them were my seeds of interest towards working with and becoming an educator who works with them. After graduating, I went straight to the Graduate School of Seoul National University (SNU) and once again studied French Language and Literature there. Amidst all this, my husband met some refugees in a conference and told me that all the documents they possessed were written in French. He asked me to translate those back into Korean, and after that he requested that I stand in the court along with him. I needed to translate the words of the refugees whose refugee status was being judged—it would be more expensive to hire professional translators. This was the moment where I started to realize the usefulness of my French. Along with those requests, my husband asked me once again if I could teach Korean to the African refugees speaking French. Teaching Korean in French was not the easiest thing to do and also challenged me in every aspect, but that was the moment when I started working with African women. The more I worked and spent time with them, I started to realize they were not much different from us. They were all mothers just like me and very intelligent. I saw that they had so much potential and talent within them that were not being recognized. That was when I knew I wanted to work with them. GT: Building an organization like this from the ground up could not have been all that easy. Could you tell us about some of the biggest difficulties in doing so? society and not having learned business management in school, I did not have any idea of how to run an organization or what that would look like. I dived in head first not knowing how to do the simplest task of filing documents or completing business outlines. more about running an organization. I’d have seen all the incredible hardships that lay ahead and would have known to stay out of it! (laugh) Bravery and passion, for me, come at least in part from my cluelessness in this field, but all’s well that ends well. GT: We have noticed that a lot of your projects are centered around artistic motivations. Were there any reasons as to why it was art that you focused on? looking for ways I could help them shine as they are. had their unique style that the world could love as well. 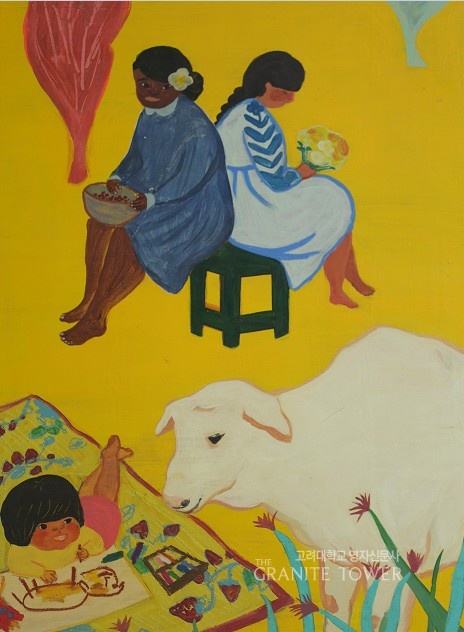 From there, we opened galleries and started small projects that were based on artistic motivations. GT: As a graduate of KU, what do you remember the most about your years in KU? Park: That would be over twenty-five years back in the memory lane. I have small memories here and there, like which building had the best coffee machine on campus. (laugh) I personally thought that the Communications Building had the best coffee. I was also in a relationship all the time, so memories like studying in the library with my boyfriend, writing letters to each other in front of the Woodang Hall, walking on campus in the spring when the royal azalea blooms, and taking photos with my friends are the dearest. GT: Any useful advice for KU students? Park: Sometimes it is good to beat around the bush. Instead of always worrying about the future and trying a little bit of everything, I would like to ask for some patience. This is just my piece of advice, but try staying as long as you can in one group or organization and being a little patient with yourself. GT: Finally, what are your hopes and expectations for the years to come in Ecofemme? Park: My hopes are that the refugee women I work with become the next leaders of the refugee community in the near future, not only in Korea but also in the entire South east Asian region. We are working with several of these women and helping them become educated in order to become truly accepted into our community and to take the lead. That is my biggest hope and my goal for the years ahead of us.